Product information "Mini cutting board"
Mini cutting board for exact cutting of small profiles up to 5 x 5 mm. 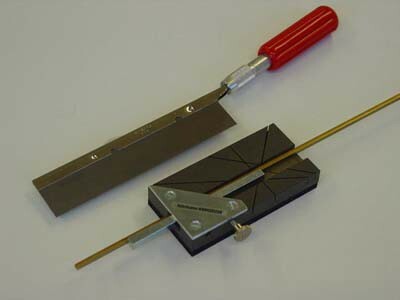 Precut guides for cutting angles of 30, 45 and 90 degrees. All metal con-struction. Will accept all saw blades up to 0.5 mm. For sawing metal profiles we recommend our fine saw blades No. 30 320. Related links to "Mini cutting board"
Customer evaluation for "Mini cutting board"